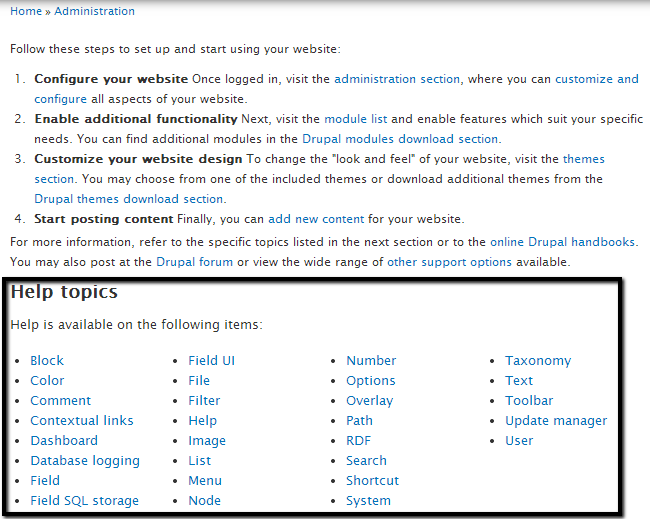 This tutorial will update you on how to get help with the development of your Drupal website. The script is very well documented and it is easier to find a piece of information that you may be stuck on handling yourself. Log into your website as administrator and navigate to the Help option from the main menu. The information on the new page is categorized and it will be easier to find what you need. The topics are located at the bottom of the page. 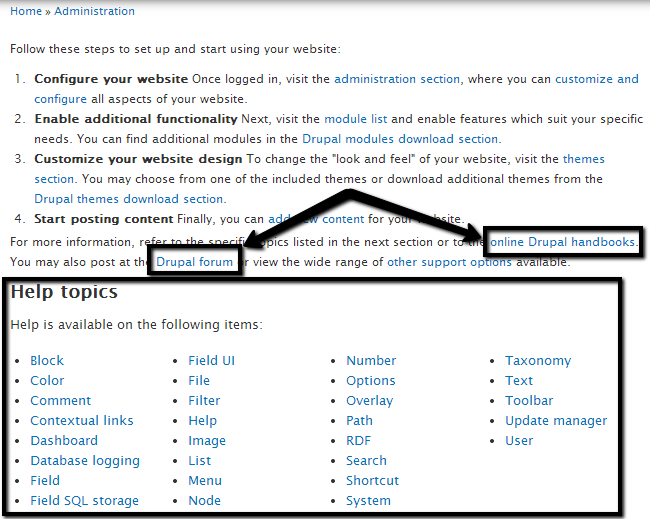 Alternatively, you also have an option to check the official Drupal handbook or the forum as they will provide more detailed information on how to use the script. Links to the handbook and the forum are presented on the same page.